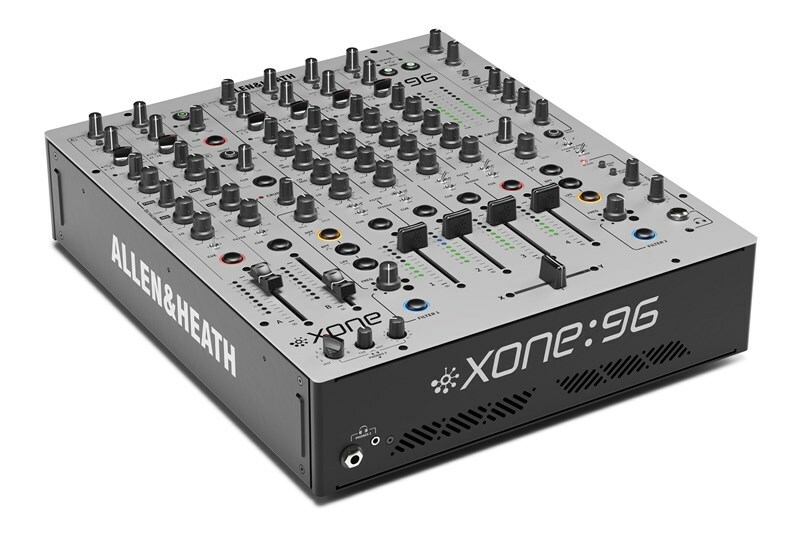 The Allen & Heath Xone:96 Analogue DJ Mixer is the highly anticipated follow up to the world-renown Xone:92, a DJ mixer favoured by clubs and venues around the world. 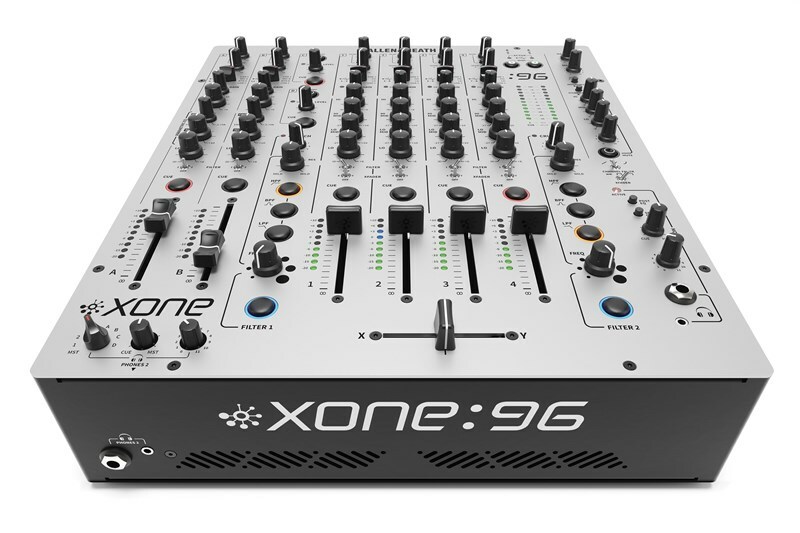 The Xone:96 is described by the folks at Allen & Heath as an "uncompromising analogue DJ mixer, destined to be the heart of our creativity" and it's easy to see why this statement is true when you take a look at what the 96 has to offer. 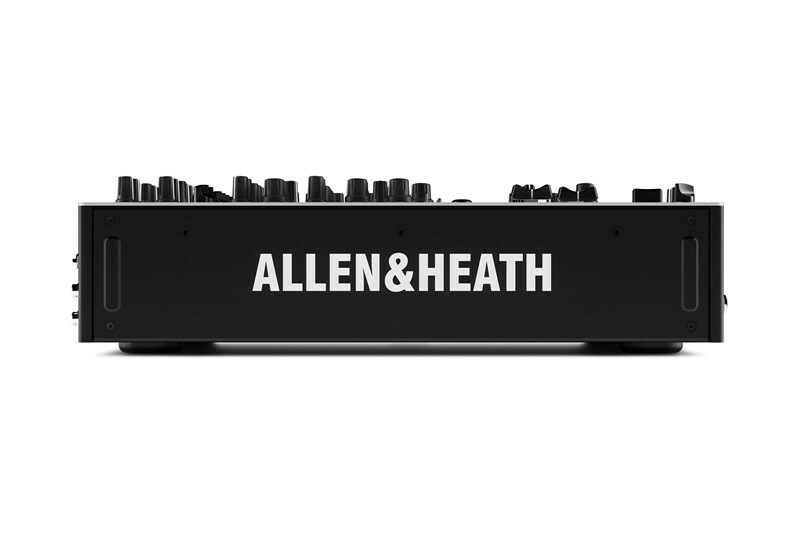 The Allen & Heath Xone: 96 packs a substantial amount of power and intuitive features, first and foremost the 96 has been built with the same legendary Xone analogue design that has cemented Allen & Heath as a front-runner in the world of DJ equipment. The mixer features a large 6 + 2 channel layout, 4-band EQ, dual Xone:VCF filters with CRUNCH harmonic distortion and a dual 32-bit USB soundcard. 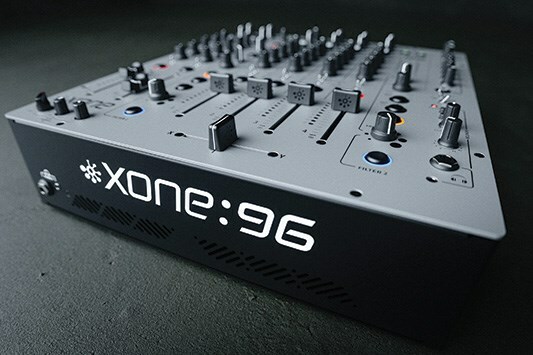 The Xone: 96 has been designed to allow you to connect your entire DJ rig including Decks/media players, turntables, laptops and even additional audio inputs such as pedals and synths for live performances. An evolution of an industry legend, the 96 bring new and innovative features to a mixer series loved by millions for its industrial build quality and superbly smooth controls. The Xone:96 continues Allen & Heath's lineage of powerful analogue mixers, the much-loved layout of the Xone:92 is apparent in this latest Xone incarnation, an adaptation of it's older brother, the 96 houses four stereo input channels each equipped with Allen & Heath's class-leading Xone 4-band EQ controls. The Xone:96 also sports two A + B stereo return/ mic channels with all-new 3-band parametric EQ's that give you even more control over your sound. 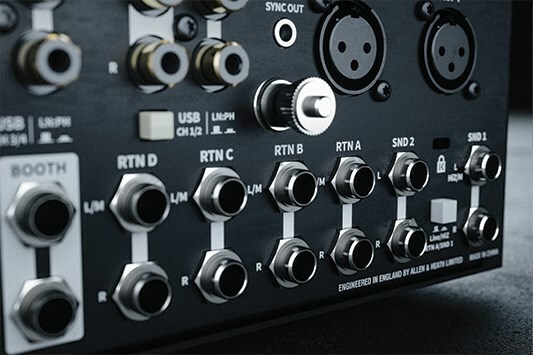 The Xone:96 as a built-in dual 32-bit 24 channel soundcard featuring two independent USB connections with 6 stereo inputs EACH, opening up an entire world of routing options and the creative potential that comes with this. 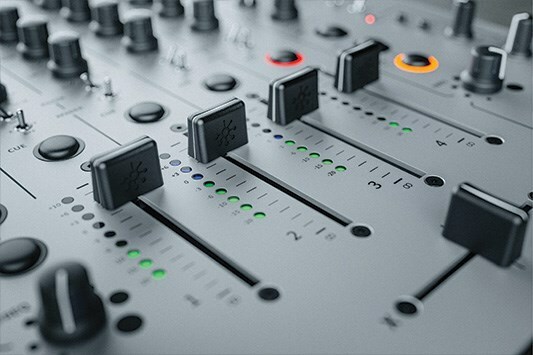 A very high level of audio quality is ensured when feeding audio from laptops to the mixer thanks to the 96's 96kHz/32-bit audio processing, the same specs found in top-end audio interfaces and studio rack equipment. Furthermore, the built-in soundcard supports DVS control of NI's Traktor Scratch Pro 2 software immediately, with no need for additional driver installation. Ask any knowledgeable DJ about filters and they will tell you without hesitation that the Xone VCF Filter is one of the very best out there. The Xone VCF filter has an incredibly distinct sound and is revered by millions of DJ's, in the Xone:96, Allen & Heath have refined this loved filter to give it the best possible performance whilst retaining its distinct sonic qualities. 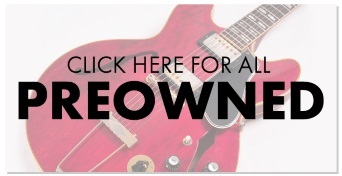 On the 96, you will find HPF, BPF and LPF resonance and filter sweep controls and an additional CRUNCH (Controlled Harmonic Distortion) control that unlocks more effective means of creatively manipulating your sounds. Each of the 96's six main channels can be routed to the VCF Filters. The Xone:96 houses two independent headphone CUE systems, one on the right of the top panel and the second on the left of the front facing panel (closest to the DJ). When combined with the dual-soundcard, set transitions between DJ's and back-to-back performances are seamless. Each headphone input has powerful gain control and provides a loud and clean signal when cueing and mixing in a loud club environment. 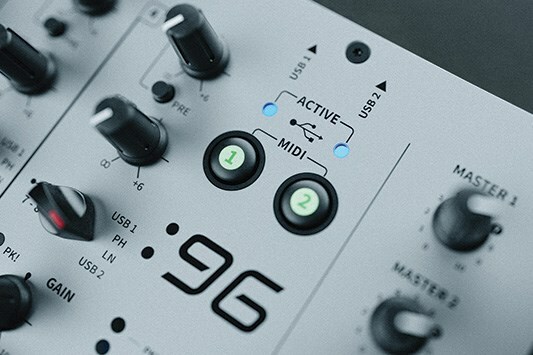 On the rear face of the 96, you will find an array of connectivity including MIDI I/O via a 5-pin rear connection and the dual USB ports. Standard analogue connections are joined by an additional group of connections including 2 stereo sends, 4 stereo returns and a dedicated master insert. 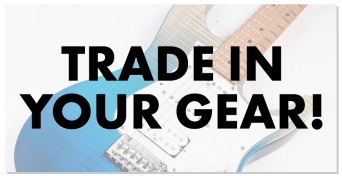 Send 1 can be switched from Line to Hi-Z, allowing the 96 to integrate instrument level effects such as guitar pedals. 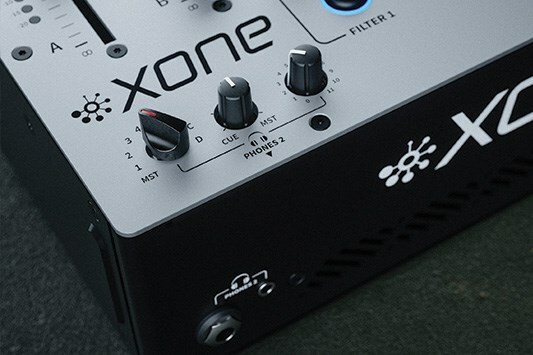 Further creative potential is brought on by the Xone:96's X-link which gives the option to connect any controller in the Xone:K controller series. and intuitive fader cut adjustment, it feels glorious to use for both beatch matching, transitioning and scratching. The 96 also features custom-designed 60mm linear VCA channel faders that again, offer an ultra-smooth and responsive action for precise control over your levels and mixing when keeping the crossfader central. 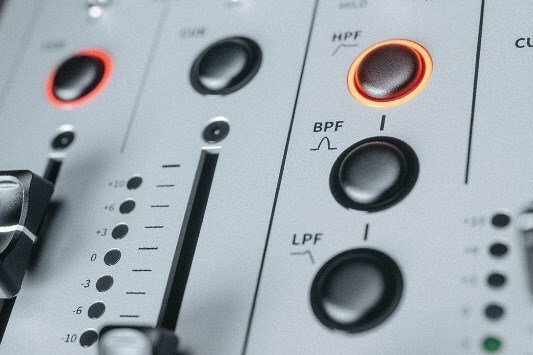 There is an untold number of possibilities with Allen & Heath's latest offering to the DJ community, the Xone:96 is sure to become an industry-favourite thanks to its insanely good build quality, connectivity and control, maintaining Allen & Heath's position as one of the very best. - 7kg / 15.4 lbs.